“The delivery methods that Dana used in training the materials are effective. Great job, Dana.” – Mike S.
“I really enjoyed the class, very knowledgeable group.” – Mike C.
“The instructor had a lot of experience in the Q1/Q2 field. 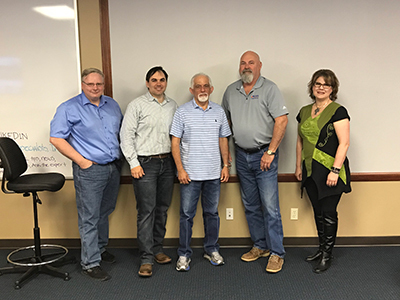 I was very impressed with the instructor.” – George T.
“Everything good.” – Larry W.
“Great job.” – Tu H.
“Thank you for giving me a better understanding of Q1 and other aspects of the quality management system.” – David C.
“The team was welcoming and great. Full of knowledge and willing to support and provide all the help needed to achieve my goal.” – Sam A. “QSI always provides outstanding training. Extraordinary. All training objectives are clearly stated, and training is geared toward clear and concise objectives. Real-world examples are provided for group discussion and exercises. Practical exercises demonstrate grasp of concepts and facilitate additional discussion and group interaction. Outstanding facility for training, extremely conducive to learning with comfort and accommodations. Meals and snacks always provided. OUTSTANDING.” – Steve D.
“Great course, was familiar with Q1 8th Edition. Was given the tools and knowledge to apply the new additions of Q1 9th Edition regarding MOC, risk, and contingency planning to take back to my company and teach and implement. Overall great class.” – Derrick S.
“This was a great course. Instructor was very knowledgeable and kept the class engaging. Will definitely be recommending this course to the rest of our group.” – Minatte M.
“Instructor and staff were excellent.” – Chris O. “Thank you for the opportunity to attend your courses. The staff is very informative and personable. Bud is an amazing instructor. 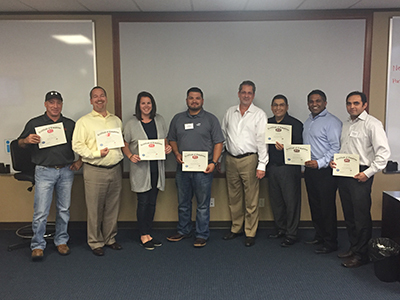 I have a lot of respect for him and the QSI organization.” – Mark F.
“Great class, very interactive. Learned a lot throughout 3 days. Food was great with an interactive trainer.” – Roy G.
“Awesome job. Spread the quality word.” – Vinay U. “Great value; everyone in a manufacturing environment should be exposed to this information.” – Scott J. “Enjoyed content and instructor.” – Art K.
“Great class. We will continue looking for your support in training and internal audits.” – Dan G.
“Great class, great content.” – Shannon M.
“Informative structure with detailed instruction on report completion and understanding. Great course!” – Monica V.
“It’s an amazing training” – Lubna S.